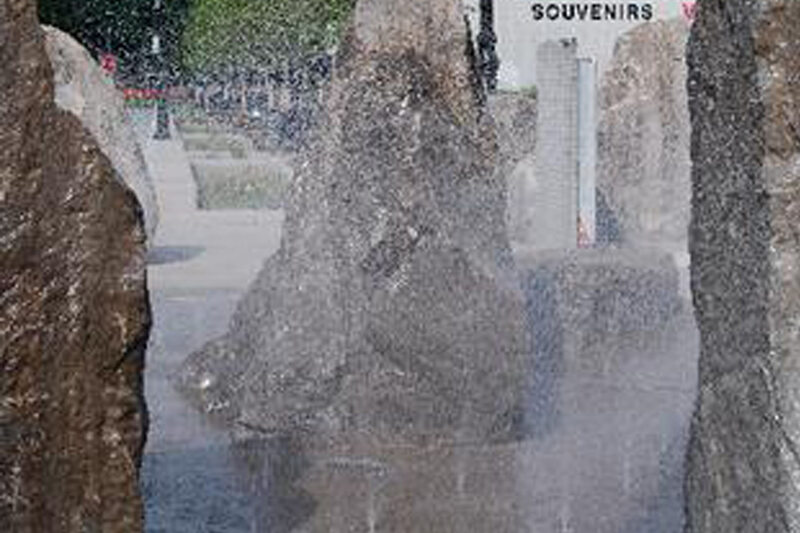 The area outside Old Fall Street, West Mall is home to a new rock and mist fountain. 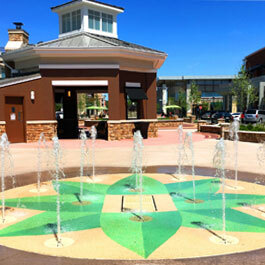 Delta Fountains was hired as the water feature consultant to help design the small mist fountain and ensure the water was safe for public use. 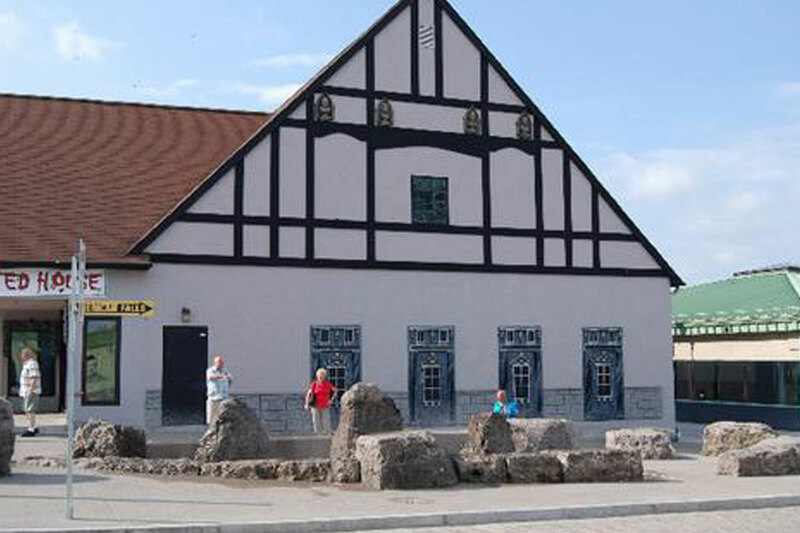 The West Mall fountain is located at the entrance to the Visitor’s Center for the Historic Niagara Falls National Park, and is situated in two areas on opposite sides of the street at the newly renovated mall. 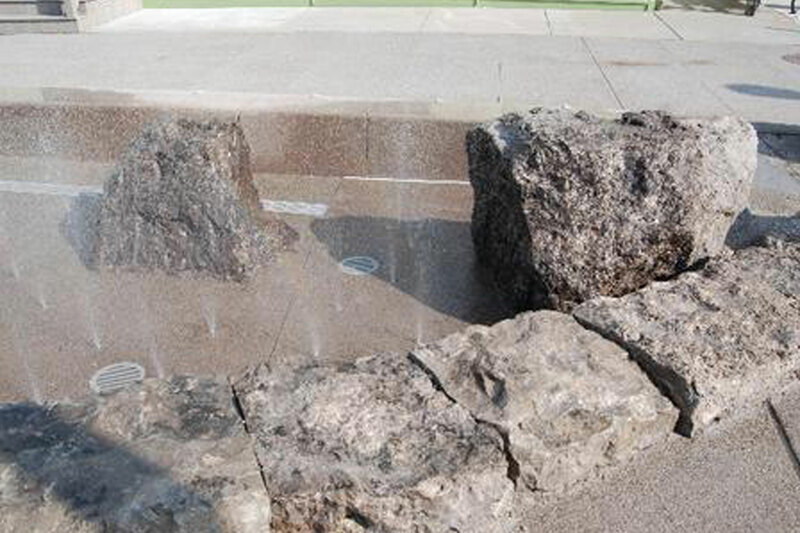 Each area features an array of flush mounted misting nozzles situated among indigenous upright boulders and is surrounded by a low height seat wall. 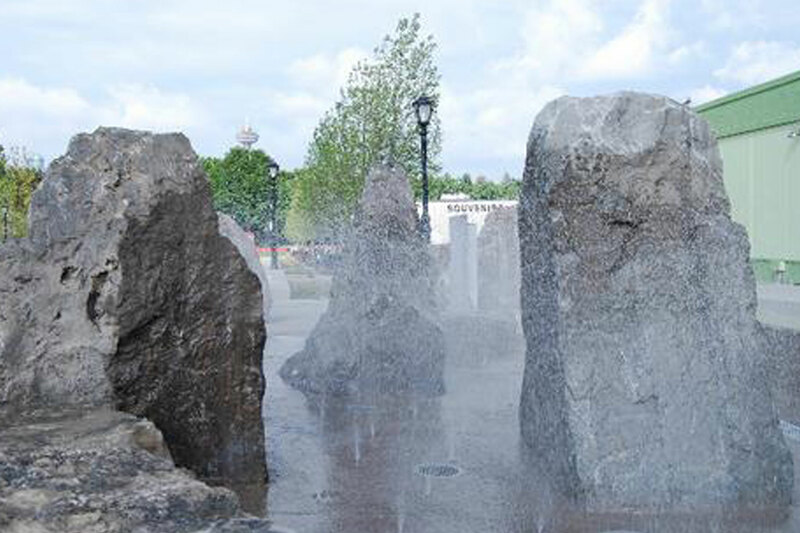 The mist effectively emulates the misting of the nearby falls and allows for visitors an area to relax and to interact with the mist as well as a comfortable place to cool off during the warm summer weather. As you stand amid the boulders and mist, you can look down the street and see the actual mist from the falls floating in the air. The two areas offer an immediate physical connection to the magnificent, awe inspiring falls. 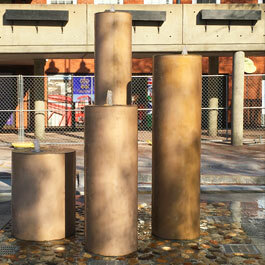 Delta Fountains was hired as the water feature consultant and equipment supplier for this project. 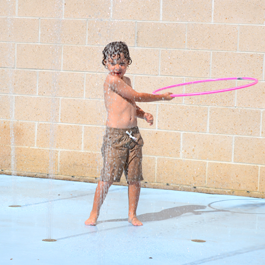 While this fountain is not technically an interactive fountain as we tend to classify them, we did incorporate standard water quality control measures to treat the water as if it were an interactive fountain. Another challenge we faced was designing a shroud for the nozzle which could not only protect the nozzle mounted flush in the pavement but also had to be a non-trip hazard and be able to drain excess water build up in the shroud. Another challenge was to try and recapture as much of the water from the mist nozzles as possible. 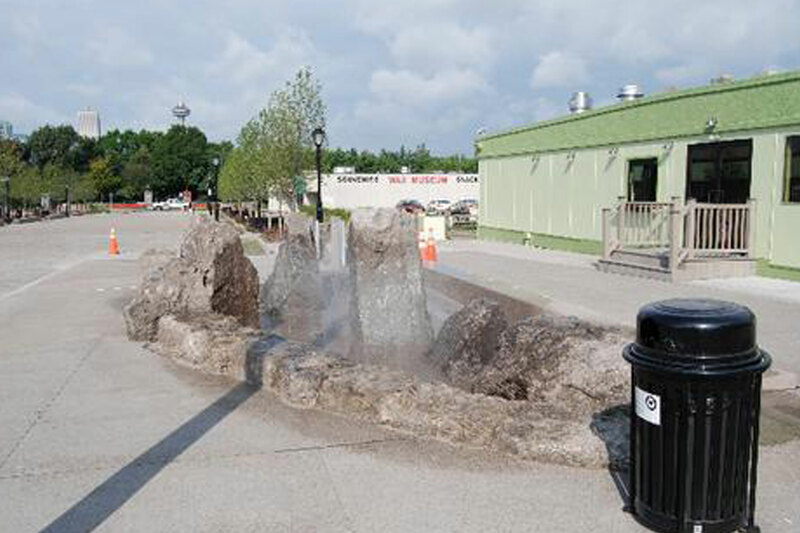 For water quality, we included a chemical feed control and monitoring system, UV disinfection, 30 minute-filtration turnover rate and collector tank storage capacity as typically required by the Department of Health for interactive fountains. For the trip hazard, we designed the shroud so that it that it only protruded from the face of the finish plaza ¼ inch qualifying it as a non-trip hazard. 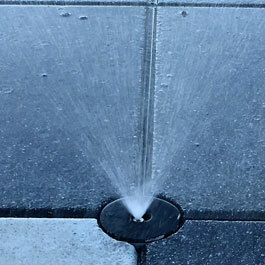 The ¼ inch adequately protects the nozzle and riser from being damaged and also acts as a barrier to keep water runoff from collecting in the shroud. A small weep hole in the shroud, just above the pavement elevation was incorporated to allow water to drain out of the shroud. For capturing the water and returning it to the collector tank, we incorporated a continuous trench drain around the inside perimeter of the seat wall and advise the Landscape Architect to grade the area so that we had adequate slope from the center of the feature to the trench drains. As a result, we were able to capture approximately 70 percent of the mist volume as it fell and drained back.